Are you ready for this? 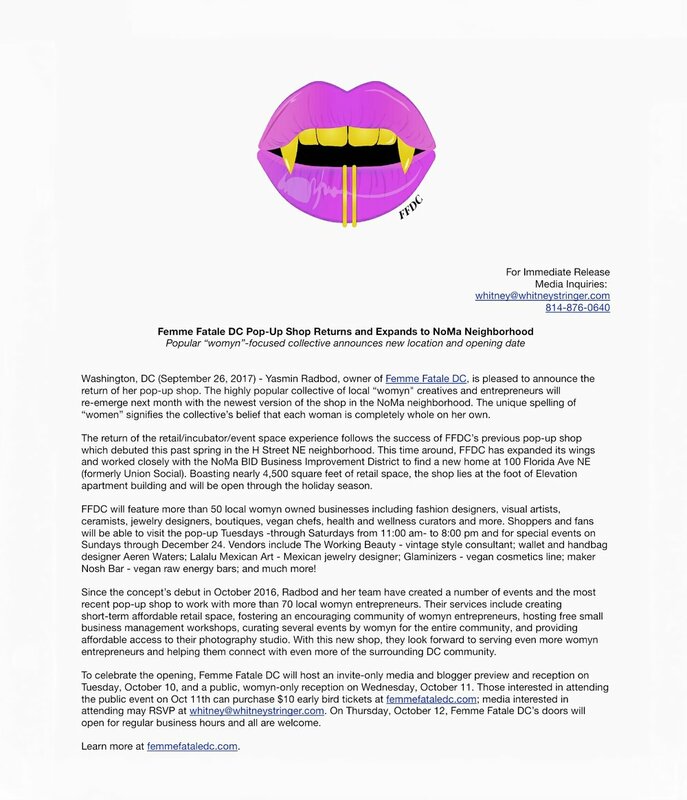 FemmeFataleDC has once again joined forces with women creatives throughout the DMV area to transform the 5000 sq ft space at Union Social on 100 Florida Ave, NE DC! I along with 60+ other women will be showcased in this collective that will run from Oct 12-Dec 24, 2017. So come and enjoy the magic, energy, talent, workshops, events, product, art, photo studio, and so much more during this fall holiday season. Kickoff launch party will be Wednesday, Oct 11, from 6-10pm.